With school approaching it's time to see what the brothers have been up to this summer... Introducing Fiji Fridays! Look forward to factoids, featured articles and membership spotlights on Fridays about the brothers of the Epsilon Omicron Chapter of Phi Gamma Delta! 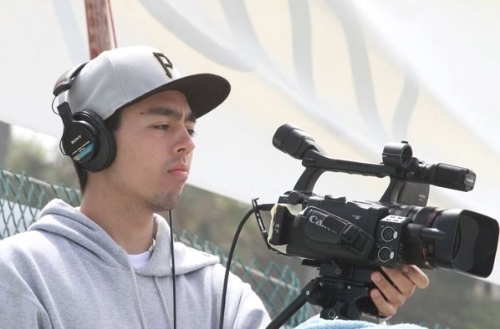 "This was my second summer with 800-Kamerman and I was able to learn about all the aspects of production work from pre production to post production as well as how the cameras operate. We are constantly working with ESPN as well as other high profile people. Some of the notable shoots I was able to participate in were: Tim Tebow, San Diego Chargers, Katy Perry, and Tony Hawk. It's always a great experience working with 800-Kamerman and look forward to continuing to do so in the future!" Look forward to next week, as we outline another brother's summertime development!